Thinking about music lessons in Northwest Arkansas? Music impacts our lives in so many different ways, it’s no wonder that so many people want to learn to play some musical instrument. “How to learn guitar” is one of the most popular typed in Google searches there is, and another very popular search is “piano lessons”. Parents want their children to be exposed to music, hoping that they will be attracted to it enough to want to take lessons so that they will become an accomplished musician. Being able to play a musical instrument enables a child to socialize in ways that nothing else can. Additionally it increases a child’s ability to remember, it helps with team participation, it enhances time management, coordination and mathematical skills and it helps with reading. How empty and flat our lives would without music. You might even say it is the heartbeat of our lives. Wing Studios offers lessons starting at the age of 4 but we also have students from 65 and up! Most children do better learning at 5 because mentally, they are able to focus for a longer time and their maturity level is more conducive, but it is not uncommon for children to start their musical journey earlier. Can Parents Get Involved In Their Childs Music Studies Without Any Musical Background Or Ability? Most certainly! We actually encourage our parents to involve themselves in their Childs music lessons. It makes it more enjoyable for the students, but it can also make it a lot easier to learn at home! No one is ever too old to take music lessons. Several of our students had taken lessons in the past during their childhood, but eventually quit. We have often heard how they regret that decision and want to get back into music. We also have students who have self-taught themselves piano, voice, and/or guitar but reached a plateau. They usually decide they want to take their ability to the next level. There are many different circumstances for adults to take music lessons, and each of them always leaves with a stronger appreciation for music and and each of them always leaves with a stronger appreciation for music. It helps build confidence and social skills when interacting. 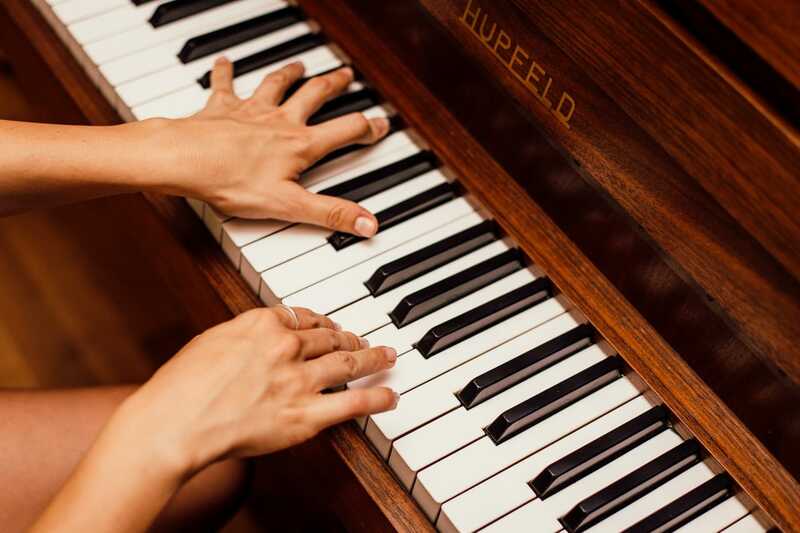 It allows the brain to develop a stronger memory through muscle memory and the memorization of pieces of music as well as fostering creativity through a creative outlet for their emotions. It allows people to feel relieved from their daily stress and anxiety acting as a natural relaxer. Learning music also helps develop a strong sense of discipline and strengthens our minds overall. Studies have shown improved cognitive functions, helping with pattern recognition, and that music students perform better in math, science, reading, and languages. Is It Necessary To Have An Instrument To Take Lessons? We strongly encourage students to have an instrument at home in order to practice throughout the week and to be prepared to move forward in their musical journey. We are happy to make recommendations on instruments that don’t break the bank but are still quality instruments suitable for learning. How Long Should My Child Practice Their Music Each Week? It varies with each student. For beginner lessons, we recommend around 15-20 minutes per day, 5 days out of the week. Intermediate players should practice around 20-45 minutes a day, and our advanced students are typically required 45-90 minutes a day. Each student is different in this regard. Some students have a natural ability where they can hear rhythm and melody and figure out how to play it the same way without much effort, while there are others who require more attention to their studies and practice regimen. On average, students can begin to see major progress within 6 months of learning an instrument. It’s also worth saying, you get what you put in, simply meaning, the more effort and time you devote, the more quickly you learn, while the opposite stands true as well. Would you or your children like to learn to play music? We offer piano, guitar and voice lessons for ages 4 and up and would love to help you improve your musical ability. 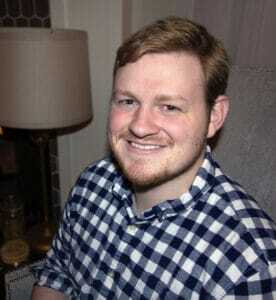 A graduate of Elon University, Ethan received a Bachelors of Science in Music Production & Recording Arts. After graduating, he moved to Nashville and worked with recording studios tracking demos and mixing records as well as producing music for publishing companies and artists. He gained extensive experience in the live sound industry working with bands such as Eric Church, Stevie Nicks, The Chainsmokers, Kid Rock, and many more. He continues to work with recording studios and recording artists tracking, mixing and producing. Ethan moved to Northwest Arkansas two years ago where he owns Wing Studios which provides piano, guitar and voice lessons for ages 4 and up. When he is not working behind-the-scenes in the music industry, he is hard at work mastering his craft on the guitar and piano and teaching others. He believes that no matter how skilled a musician you are, there is always room for learning. Understanding that every student is different, lessons are geared toward enhancing the strengths of each student as well as working on and improving weaker areas, all while maintaining a fun environment that constantly boosts a student’s confidence and comfort in their musical ability. Are There Performance Opportunities For Your Students? There are multiple opportunities for our students to play in front of an audience. Most notably, we have two seasonal recitals (Winter & Spring) where our students will perform a piece they have been working on during the past few months for each other and their families. Most recently, our Winter recital was able to take place at a beautiful recording studio, Haxton Road Studios, in Bentonville. Additionally, we encourage our students to participate in competitions to showcase their talent. Our teachers are members of NAMTA (Northwest Arkansas Music Teachers Association) and we also prepare many of our students to perform in the Sonata/Sonatina Piano Festival. Students of varying ages and teachers from around the NWA area join together to play either a Sonata or a Sonatina for their peers as well as a panel of judges. Wing Studios keeps their eyes and ears out for local orchestras and musicals that might be looking to add musicians to their ranks and we strongly recommend our students audition. At Wing Studios, we use many different methods. Most of our students are using the Piano Adventures books by Faber for their lessons and theory work to start with. Throughout their lessons, we also are constantly working on sight reading and developing the understanding of patterns found in music. Then for our younger students (4-8 y/o), we like to use games, matching, copycat exercises and more to help our students learn and remember what we have been covering in our lessons. For our older and/or more experienced students, we use a lot of different technique exercises to help develop the fundamentals, but more importantly, we love allowing our students learn music outside of their lesson books. From movie or tv show themes and pop music to classical masters, we use all of the music available to us to help reiterate the fundamentals we have been working on as well as understanding the theory behind the pieces of music our students want to learn. We also show our students how the theory they have been learning can be used to help write their own music or create their own arrangements of a song they love! Our teachers are well versed in a wide variety of musical styles. We teach our students how to play classical music, play in a pop context, jazz, blues, folk, show tunes, rock, and many more. We like to keep our students well rounded in the different types of music that can be played, but we also like taking them out of their comfort zone. How Often Are Lessons at Wing Studios? Lessons are once a week at Wing Studios at a set time, allowing our teachers to constantly be alert to the student’s practice and help fix any issues a student might have with a piece before they potentially develop any bad habits. Are There Any Discounts That We Can Receive At Wing Studios? The second discount we offer is a referral program! For each new student referred to us by a current student and they sign up for at least one month of lessons, the referrer will receive a 10% discount off their next month’s tuition. Lessons can be paid for at the Studio with cash or check, or you can pay online in our student portal with a valid credit card. We also have an auto-pay option for those who plan on paying with a credit card each month. Tuition is due at the beginning of each month. Interested in taking lessons or have some questions for Ethan?